Should my Business Worry about Blockchain? Blockchain is the technology that allows for cryptocurrencies such as Bitcoin to exist and whilst much of the attention has been around the cryptocurrencies themselves, it seems as if this technology is finally being noticed in the mainstream. The way in which the Blockchain technology works is relatively simple. Rather than storing date within a central server- information is stored in blocks instead. When the system wants to add another block, it solves the cryptographic key and the multiple blocks then form a chain. The technology can record information between two parties and store it in a way that makes it permanent and resistant to alteration. One of the main reasons why Blockchain is causing so much excitement across the business world is that it offers a wealth of benefits compared with conventional methods. For example, due to the nature of the technology, the way in which data is stored offers a greater degree of transparency. All of the parties involved have access to the same set of data and alteration can only happen if there is consensus between everyone involved. Security is another incredibly important issue, especially in light of the numerous breaches and hacks in recent years. Blockchain is known for safety as data is both encrypted and stored across a network of computer, rather than just a single server. All of these measures mean it’s incredibly difficult for hackers to get at the information. Of course, one of the main reasons why industries are now looking into this technology is due to the fact it can help companies to save money. This is because Blockchain is automated, efficient and cuts out the need for third parties. This is why Blockchain could potentially be revolutionary- cutting out the need for banks and credit card companies and allowing individuals to complete transactions without oversite from a large organisation. So why should businesses be worried about Blockchain technology? The truth is Blockchain could be the next big disrupter, if not one of the biggest disruptive technologies in the digital age. This is because it’s not just a new type of security measure or a different form of banking- it’s a completely new transaction model and one that could replace the standard third-party system that we have come to expect. 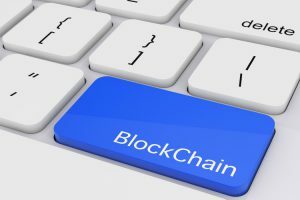 We are already seeing the rise of Blockchain in a number of start-up companies in recent years. A good example of this is BitTicket, a start-up that is offering an alternative to the large ticket selling organisations. They use Blockchain technology in order to create a direct and secure relationship between the buyer and seller which tackles the problem of scalping and individuals purchasing large amounts of tickets. This is just one example of how this technology is disrupting one particular industry but it showcases just how versatile Blockchain can be in providing solutions to common problems. Whilst this technology is most definitely on the horizon, it’s worth noting that it’s still in its infancy and therefore there won’t likely be a seismic shift any time soon. That being said, companies need to be aware of Blockchain and ascertain if they need to make any changes in order to prepare for any possible disruption. Good questions to ask is whether there would be any benefits to introducing Blockchain in to any aspect of your business. Conversely there is a question about whether this would be a risk, strategically or financially. Fellow competitors are another litmus test to use. If a competitor has introduced Blockchain technology then will this affect your consumer base and overall success? Timing is key and choosing whether to introduce Blockchain or not, is specific to each individual company and their own circumstances. This entry was posted in Uncategorized on October 1, 2018 by Roland. Is the B2B Telephone Dead? Automation – The Death of the Salesman? Would a Dragon invest in your business?